Katerina Jeng and Krystie Mak want to tell you a story. Actually, quite a few stories. 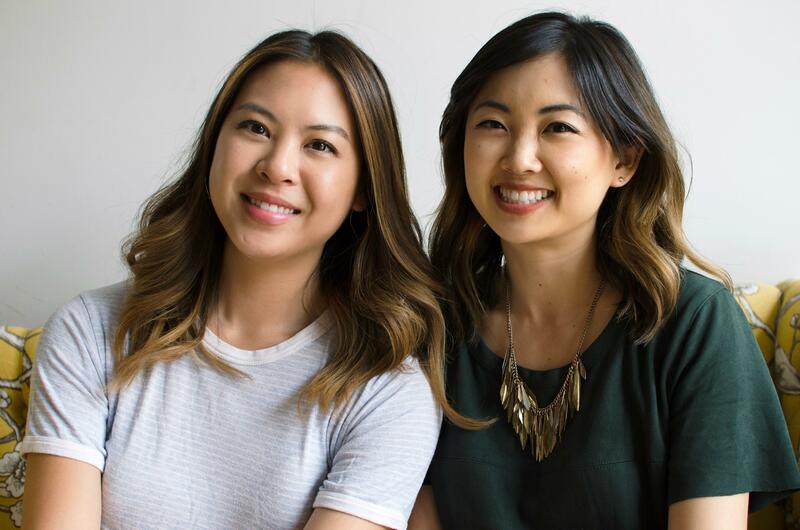 They may have been raised on opposite sides of the country, but both grew up aware of the stereotypes they faced as Asian-Americans. For both, it became a passion to help change how ingrained these ideas were. "Being Asian-American, you're not completely Asian, you're not completely American," Jeng said. "It's sort of this blend, this gray line that sits in the middle." It is that "gray line" that inspired the two women to create Slant'd, a magazine composed of written and visual works crafted by Asian-American artists that detail their diverse identities. "The main thing is that our stories are appropriated, they are being told by other people," Mak said. "What better way to reclaim it than provide a space for people to tell their personal stories." How such stories are told remains a controversial subject across American communities. Look no further than the recent controversy over the pay gap between Daniel Dae-Kim and Grace Park, Asian-American actors on the television show "Hawaii Five-0," and their white colleagues. Months before that, the release of the movie "Doctor Strange" highlighted the casting of Tilda Swinton, a white woman, as a character intended to be Tibetan. Casting debates, however, are far from the only realm of controversy. For several years, Harvard University has been embroiled in a lawsuit that alleges the institution discriminates against Asian-American applicants. The suit asserts that Harvard, to maintain a "quota" of diversity, has admitted consistent numbers of students of different backgrounds without taking into account changes in applicant qualifications. "For a long time, the Asian American narrative has been unfairly represented by one or two stories," Mak said. "The recent Harvard lawsuit and issues of affirmative action are entangled in this disparity because the arguments being made for or against it hinge on these one-dimensional narratives." The widespread nature of this debate likely influenced the response that Katerina and Krystie received when they started a Kickstarter campaign to raise funds. The goal of $10,000 was met in less than 36 hours. By the end, 401 backers had donated over $17,000 to make the magazine a reality. The magazine launches on August 26. "It's been reaffirming," Mak said. "It's really comforting to know that there's other people who just get it, or who really want to have the conversation." While its physical form came to them quickly, the name "Slant'd" did not. They wanted to avoid stereotypes while establishing the magazine as a place unafraid to push boundaries. "We wanted to be surprising and cheeky, and flipping stereotypes on their head," said Lina Yeh, the magazine's development director. The choice echoes a similar decision made by the band The Slants, composed of Asian-American musicians. They recently won a Supreme Court ruling after challenging the U.S. Patent and Trademark Office who had said the band could not call themselves a "disparaging" name. The Supreme Court disagreed. The lawsuit was filed by Slants front man Simon Tam, who voiced approval of the work being done at Slant'd. "We're excited and proud to see more Asian Americans engaged in the work of reappropriation," Tam said. "The word 'slant' is used to refer to perspective or an angle. Whether it is a football play or political skew of a newspaper, other people are give the benefit of the doubt. When Asian Americans use the term, people begin raising their eyebrows. That in of itself is problematic…. reclaiming language shifts power dynamics." One such example is the creation of #badasians, a regular feature of the magazine's social media that aims to knock down stereotypes that portray Asians as nerdy or math whizzes and paint a more nuanced, authentic depiction. "What if we did the opposite and you're being a bad Asian?" said Lina Yeh, who came up with the idea. It is an identifier that resonates throughout the staff and debut issue contributors. "I come from a line of bad Asians," said Tria Chang, who penned an essay for the first issue. "My grandparents and my parents were individuals who were really true to themselves, and they taught me and my sisters to be true to our hearts, but bring our brains with us." The team hopes to make it an annual issue, and believe that this will only help to inspire others to have conversations about identity. As Jeng put it, "I think if we all partner up and bring to light the Asian American experience, then together our voices are a lot stronger than us individually fighting the fight on our own."